One heated topic which has been floating around the Net today, perhaps more than any other, is the genetic versus drug debate. There are two opposing schools of thought when it comes to this subject, as well as a significant number of people who tend to gravitate more towards the middle of this argument. Obviously, I will have a bias on this subject, as I have formed my own opinions and ideas over the last 20 years of my involvement in this sport, but regardless, I will attempt to accurately convey each side’s perspective throughout this article. While I have found that the longer someone has been around this sport, the more they tend to gravitate towards the middle of the argument, I encourage you to come to your own conclusions. There is no doubt that drugs play a tremendous role in BB’ing today. Anyone who denies this is either separated from the reality of the sport or chooses to maintain the illusion that their favorite pros certainly wouldn’t use something like steroids. 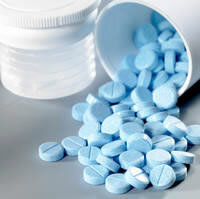 The truth is that steroids (and various other performance enhancing drugs) have played a significant role in the development of BB’rs since the 1960’s. For many involved in the sport, steroids are as essential to success as food and training. Their use cannot be denied nor their relevance be discounted. However, where these two opposing schools of thought largely disagree comes down to how great of a role steroids play in a BB’rs success relative to genetics. One side claims that steroids are the be-all-end-all of professional BB’ing; that steroid use is so important to BB’ing success that genetics are largely irrelevant. This side has often claimed that up to 95% of “all” individuals can turn pro if they simply use enough of the right drugs. This camp is also often defined by their attitude towards food & training. It has been proposed numerous times that food & training are of secondary importance, even to the point that the BB’r doesn’t really have to pay attention what type of food he eats or even how much food he eats, as long as he eats “somewhere” between 3,000-4,000 calories per day and gets enough protein to sustain growth. Training is also viewed as of little importance, with the BB’r only needing to go into the gym and lifts some weights. How hard the BB’r trains is inconsequential. The saying…“BB’ing is 90% drugs, 5% training, and 5% diet” is the typical mentality shown by those who subscribe to this belief system. Performance enhancing drugs are viewed as the near singular answer to BB’ing success, trumping genetics, food, and training by an extensive margin. While this camp may acknowledge that the non-drug aspects of the sport do play a role in the overall BB’ing process, they are viewed more as a non-influential necessity, not as a set of factors which significantly determine how quickly or how far a BB’r is able to progress in his development. On the opposite side of the spectrum, we have those who minimize the importance of drug use in competitive BB’ing. This group often claims that as long as one’s genetics are good enough, they work hard in the gym, and display unwavering dedication to their diet, that only minimal drug use (and in some cases no drug use) is all that is required to enter the pro ranks and be successful. Genetics are viewed as the overriding component in a BB’rs success, while PED’s are regarded more as “icing on the cake”, in terms of the bigger picture. The saying “you can’t turn a house cat into a lion” aptly applies to the mentality demonstrated by those on this side of the fence. In order to justify this belief, many will point to various BB’rs showcasing vastly different levels of muscular development, despite the fact that many of them are utilizing similar PED protocols. The difference in development witnessed between these BB’rs is used as evidence that genetics are the primary factor responsible in BB’ing success. Finally, we have those individuals who see the genetics vs. drugs debate not an either/or argument, but as two sides of the same coin, in which both factors play a relevant role in deciding how far a BB’r is able to take his muscular development. In my experience, it seems that most individuals who have matured in the sport tend to develop a similar outlook. Personally, I find myself endorsing this same mind-set, being far less likely at this juncture to lean towards any extreme position. “There are numerous recognized limiting factors inherent in the human body, which influence the accruement of muscular size. By natural design, these genetic limiting factors each play their own unique role in preventing the musculature of the human body from growing significantly beyond its natural set-point. Fortunately, our current categories of PEDs have done a wonderful job in overcoming several of these limiting factors, which is evidenced by their ability to positively influence muscle growth far beyond what can be achieved naturally. However, many of our natural limiting factors work through mechanisms/pathways that are left completely unobstructed by today’s PEDs, which means that they are free to inhibit muscle growth without hindrance. The greater the number of limiting factors left uncircumvented, the more one’s natural genetics, as they relate to these unobstructed limiting factors, will play a role in determining both one’s rate of growth, as well as the individual’s ultimate level of muscular development. Just as our more commonly recognized limiting factors display significant variance in their ability to affect muscle growth from person to person, so to do our less well known limiting factors. So, while it is true that drugs have allowed us to overcome many of our genetic limitations to various degrees, we are still far from crossing the finish line, as many of these limiting factors remain unaffected by our current BB’ing drugs. As long as this remains the case, genetics will continue to play a role in deciding one’s ultimate size, as well as the proficiency demonstrated in building that size. For this reason, anyone who claims that genetics are no longer relevant in building muscular size is ignorant of the diverse physiologic processes which govern muscle growth in the human body, as well as the extent to which our current crop of PEDs affect these processes. When it comes to BB’ing, there is not a single aspect of one’s physical development which remains unaffected by our genetics”. The above argument also contradicts the belief that drugs are nothing more than “icing on the cake”. 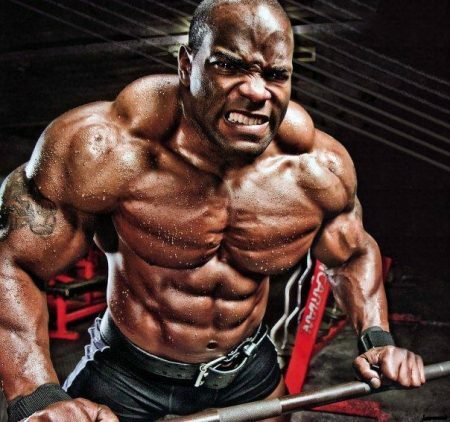 It should be clear to everyone with even a rudimentary knowledge of this sport that drugs have the potential to substantially influence muscle growth, even to the point that a relatively small man is able to build a level of muscle mass which would be considered impressive by almost anyone’s standards. There is no doubt about it, large doses of AAS, GH, and Insulin (among other newer classes of drugs) are able to add massive amounts of muscular size to even genetically inferior individuals, assuming these individuals supply their body with the proper nutrition and training stimulus. Today, more than ever, drugs have closed the gap between the genetically elite and the genetically inferior. Still, a gap remains, due to our inability to overcome all the genetic limiting factors inherent in man. This gap is most apparent when comparing the genetically elite to the genetically inferior. When it comes to comparisons between the genetically average and the genetically elite, this difference is much less noticeable, especially to the common citizen. It is important to note that in the comparisons made above, I am only referring to the building of muscular size, not to genetic attributes such as muscle shape, structure, etc. Certainly, these attributes play a significant role in one’s BB’ing success, especially on the professional level, although this is another topic for another day. When it comes to BB’ing “percentages”, they don’t exist. Whenever you hear sayings such as “BB’ing is 90% drugs, 10%…” etc, you can be sure that this belief has been propagated by ignorance. The truth is that not one aspect is more important than another; all are required in order to maximize muscle growth. Should a BB’r neglect any of them, progress will slow or stop. Of the three, the only one which could be neglected during the beginning stages of a BB’rs career, while still allowing for muscle growth to occur, would be drugs. However, after a BB’rs exceeds his natural potential for growth, drugs become a necessary part of the picture. The bottom line is that if one does not eat…growth will stop. If one does not train …growth will stop. If one does not use drugs…growth will stop. Tell me, how does someone place a “percentage” on any of these aspects of BB’ing when every single one of them is absolutely critical to muscle growth? If any percentages were given, should they all not be assigned a value of 100%? BB’ing is very much like a 3-legged stool. Would anyone in their right mind claim that only one of the stool’s legs was 90% responsible for the chair standing upright, while the other two legs were only 5% responsible? No. Even if a single leg is removed, the stool will not stand; all must remain in order for the stool to fulfill its function. So it is with BB’ing. Unless each aspect of the BB’ing process is given proper consideration, progress will either suffer or stop altogether. While there is merit in several points of view coming from both sides of the fence, the ability to evaluate the situation from a well-rounded perspective rarely seems to occur with extremists. Instead, they seem more worried about being right and less concerned with getting to the truth. In many cases the misguided individual means well, but their lack of experience more easily allows them to come to the wrong conclusions. In other instances, the individual is betrayed by someone they trust, who leads them astray through either their own ignorance or as part of a selfish agenda. Today there are some prominent online voices who uphold the extreme view that genetics are irrelevant in BB’ing and that if an aspiring BB’r just takes enough of the right drugs, he is nearly guaranteed to achieve his dream of becoming a professional BB’r. This is a potentially dangerous belief, especially for young people, as it can influence them to make decisions which might have a negative long-lasting impact in several important areas of their life. It seems inevitable that the drugs vs. genetics debate will continue to rage on, but hopefully this article has shed a little light on the various schools of thought involved in this debate, as well as helped shape the individual’s views on the matter for the better.